Enter the FREE drawing to win a SwagLyte. The winner will be able to customize and personalize their SwagLyte . Complete the registration form below. The drawing will be on May 1, 2019 and posted on all three of our social media blogs (LinkedIn, Facebook & Twitter). Winner will be notified immediately following the drawing. A SwagLyte is an acrylic design that lights up. It can be customized and personalized to your liking. The SwagLyte makes a great appreciation, birthday, employee of the year, retirement, or any occasion gift. 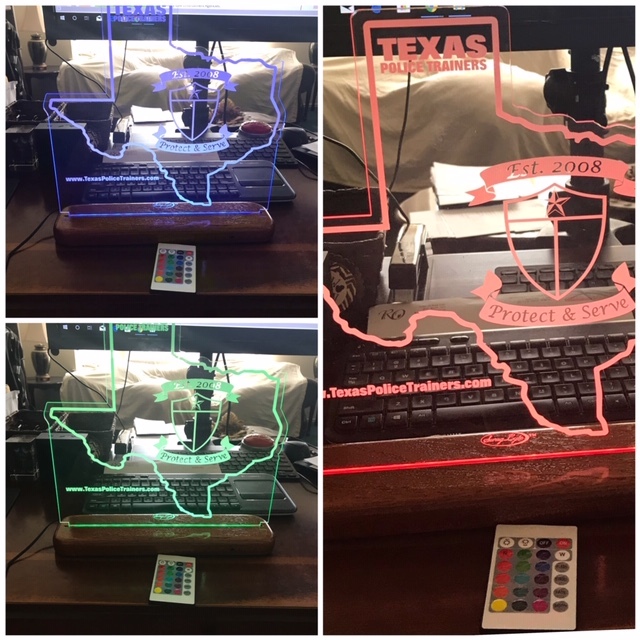 Its perfect for your desk, an office shelf, or for use as a night light. 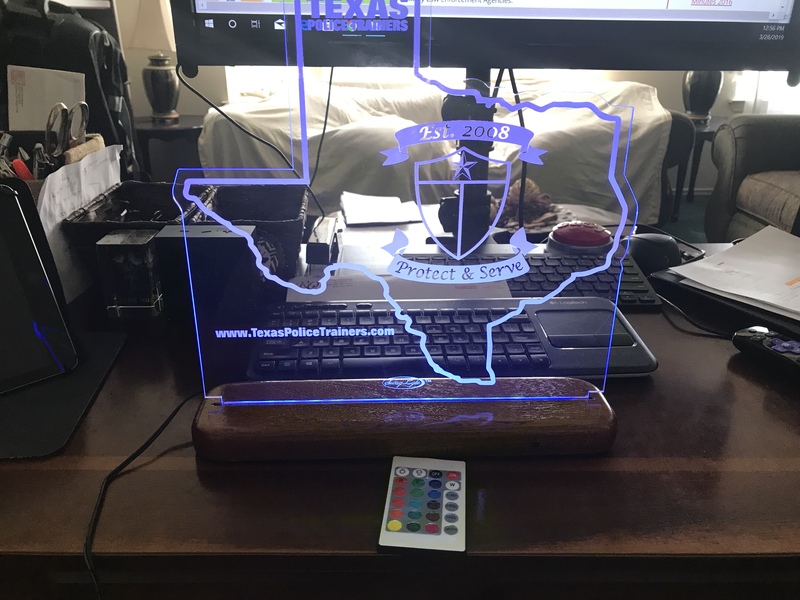 It is a great conversation piece, especially when its customized. 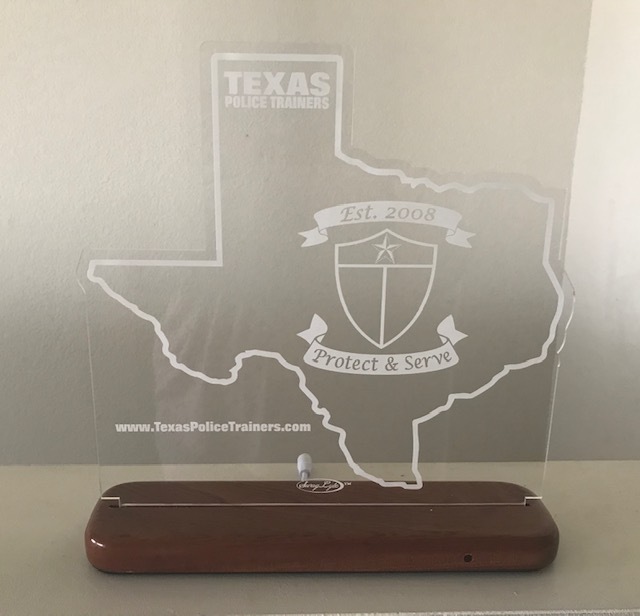 The SwagLyte is perfect for a law enforcement academy that awards plaques to their cadets/recruits in place of the old traditional plaques for awards such as; Top Shooter, Class Leader, Academics, Leadership, etc.